So Many UFCW Scholarship Winners Each Year! With tuition and other costs associated with post secondary education constantly rising, it’s a big plus to belong to Canada’s most progressive union. 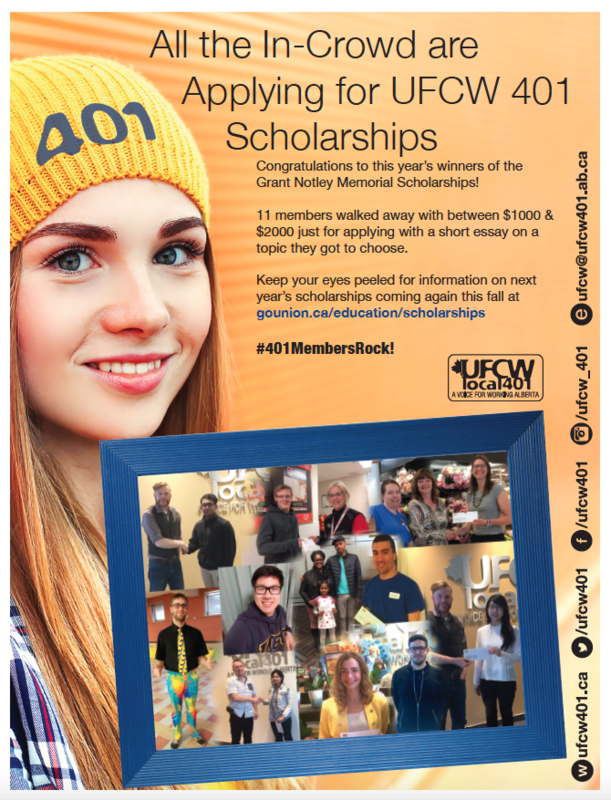 Each year dozens of scholarships are awarded to UFCW members and their dependants. Last year, these lucky students won cash just for applying to one of the many available scholarships, the Grant Notley Memorial Scholarship. We congratulate them again for winning and look forward to awarding more next year. Don’t miss out on all the available scholarships!